I am actually not sure of how to start this post. I've been so crappy on doing introductions though I'm trying to finally nail it. 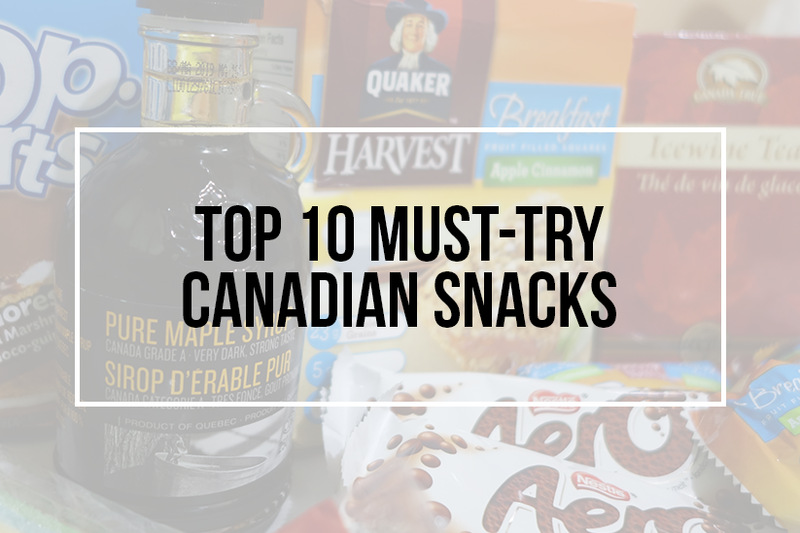 So before I lack out of words to say, here are the ten Canadian treats (in random order) you should try. Are they all good? Read until the end to know our reaction to them. 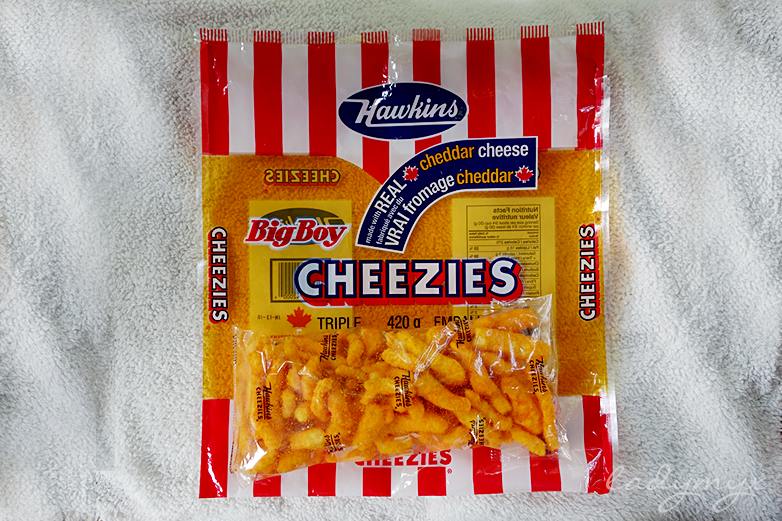 Hawkins Cheezies - This snack is a well-known snack across Canada. It is made of finger shapes cornmeal coated with powdered aged cheddar cheese. It is similar to the popular US snack Frito-Lays Cheetos. 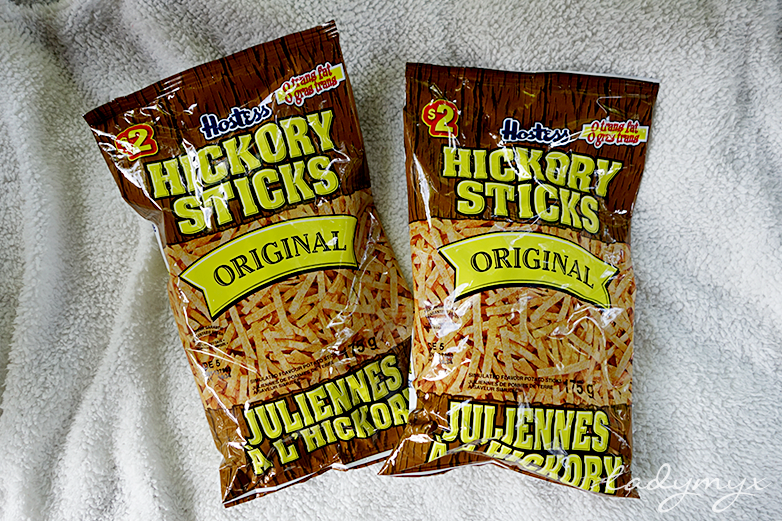 There is not that much difference between the two except the fact that Cheezies is harder to the bite, which is not a nice thing for those having their dental braces. Moreso, since it is dredged to aged cheese, the taste is differently strong as well. 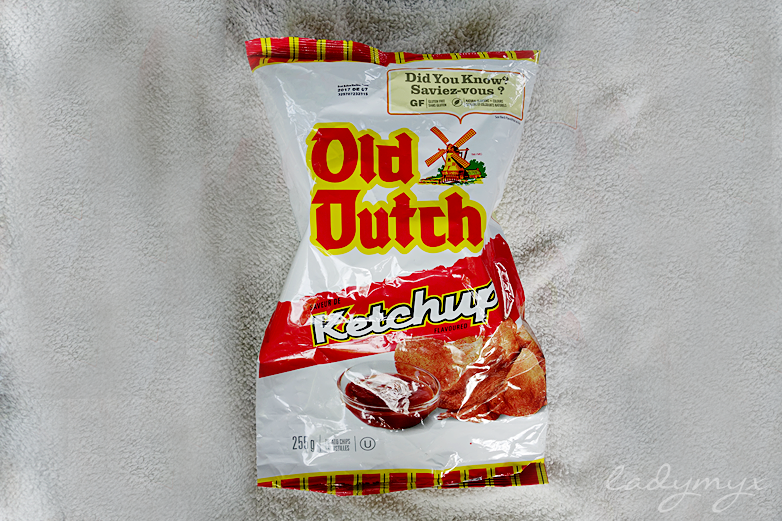 Old Dutch Potato Chips Ketchup Flavor - Funny thing about this snack is this, GJ is Dutch, and he went to Canada. 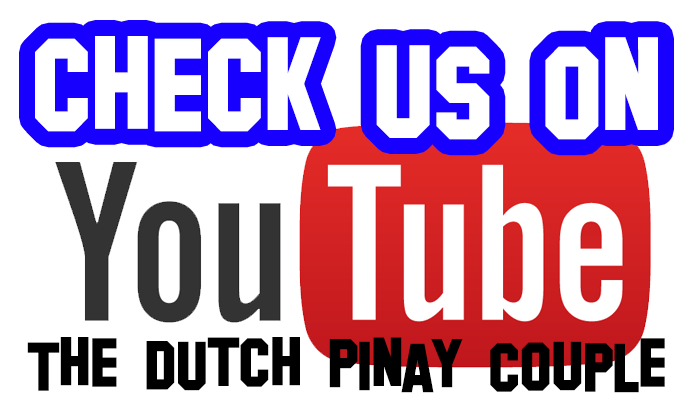 When he asked me what can he bring from CA, I looked over the internet and found this OLD DUTCH chips. GJ had his birthday in Canada and when he went back home, he's a year older. So the chip really described him well. Hihi. Anyways, though Old Dutch company caters a lot more flavors of potato chips, Ketchup flavor stood the most. It has this tangy ketchup flavor that made us frown the first time we took a bite. And even I am a sucker for potato chips, this one's not for me, nor GJ. 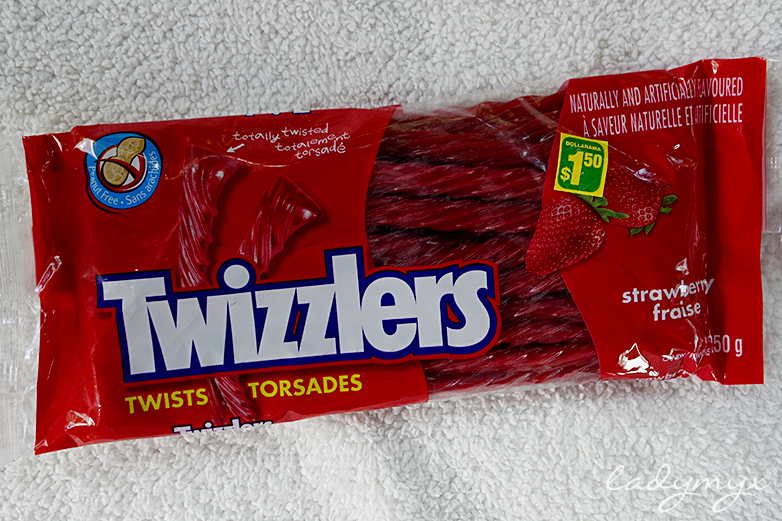 Twizzler - A licorice product from Hershey's and comes with different kinds and taste. Once open, it burst in a very nice strawberry aroma that kids will surely go crazy wanting to try one. The sad news is, it is not how it smells like. There were lots of licorice out there that I'de rather spend my penny on. It is acceptable though. Caramilk - This Cadbury chocolate is one of the oldest chocolate in Canada. From the name itself, it is made of caramel filled milk chocolate bar. It is an equivalent bar of Caramello (also from Cadbury) in the US. 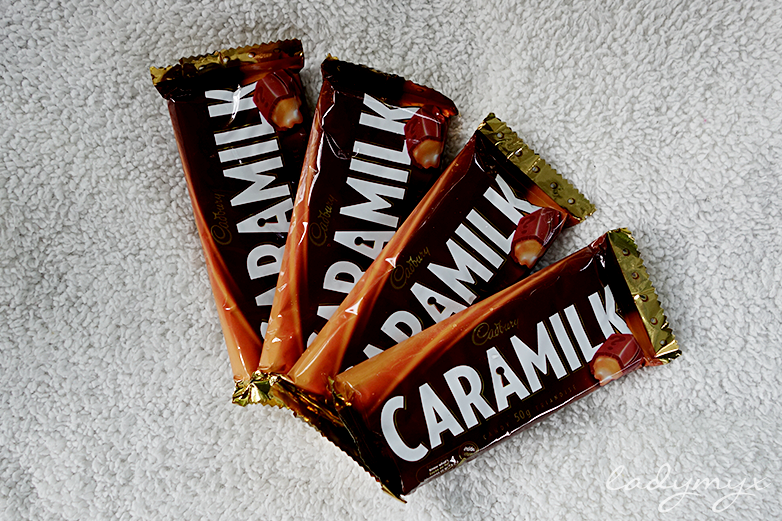 This bar was discontinued to be produced for quite some time but the news revealed that Caramilk is back (since 2012) but still in a limited time. 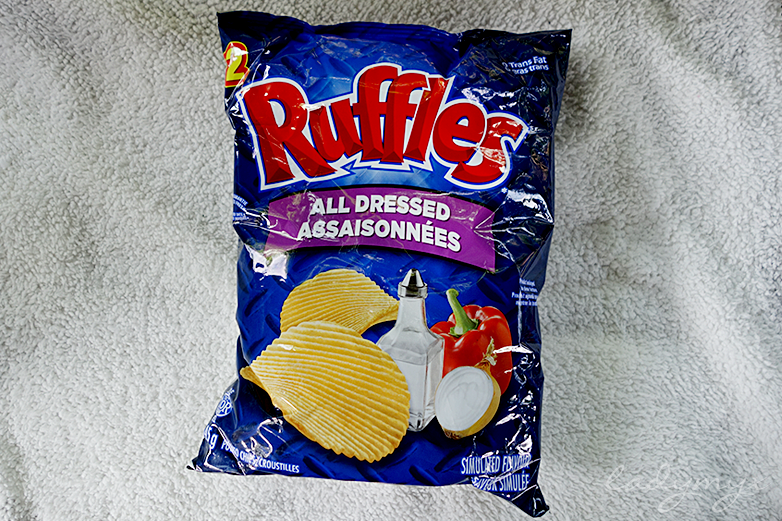 I am happy that we were able to try it until it is still available in the Canadian market. 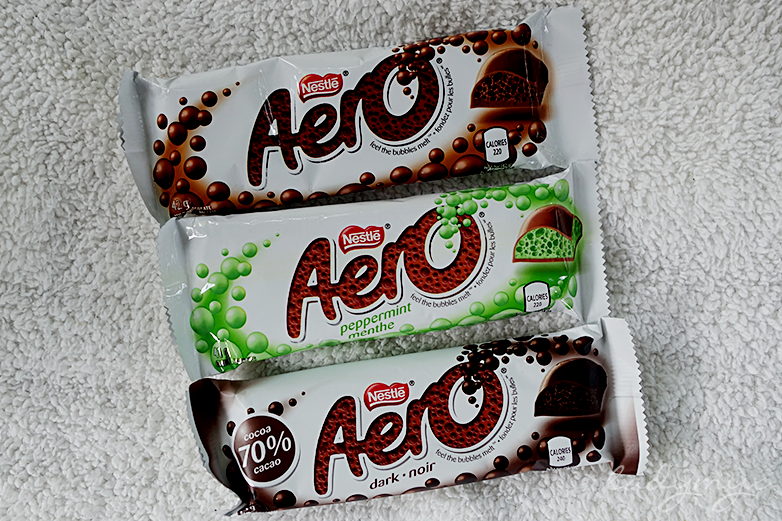 Aero Chocolate - Why would you like to put bubbles in your chocolate? 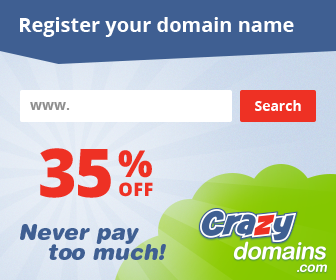 Because bubbles simply help it to melt in your mouth easily. Aside from it, there's nothing special. We are rating it as the normal Nestle chocolate there is. 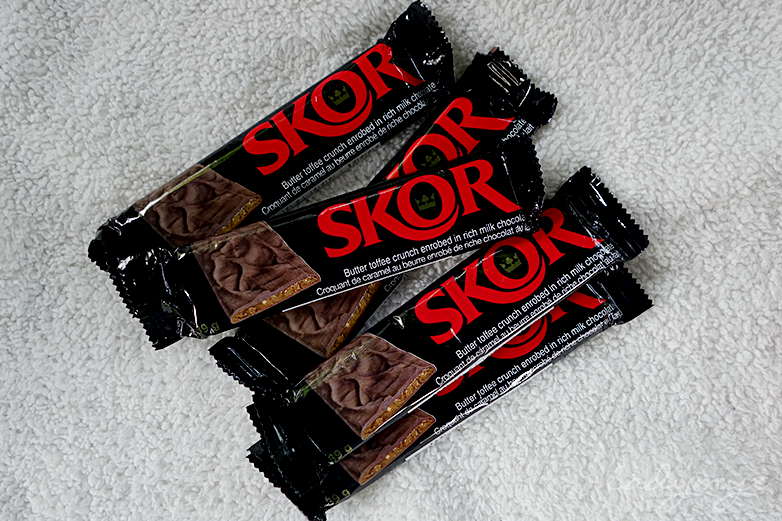 Skor Toffee Bars - These are made of butter toffee slab covered in milk chocolate. It is beautifully created since both flavors complement with each other, though it is incredibly sweet. If you've tried the frappe Starbucks has for its Holiday offerings this year (Toffee Nut Crunch), you'll be able to imagine how this bar tastes like. Maple syrup - Disclaimer: It is a syrup, not a snack. There is just not a reason why I shouldn't include this signature product of Canada in this list. 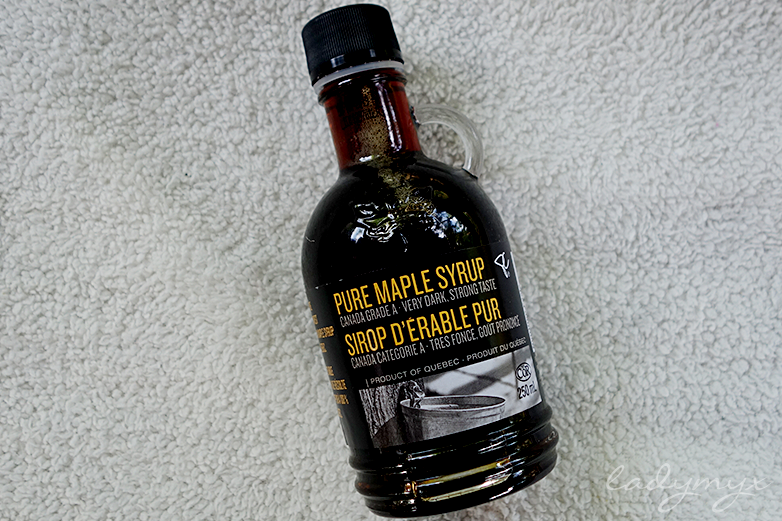 This syrup was collected from the maple tree, either sugar, red or black maple tree.. As the most popular pancake syrup in the west, we are happy to try the authentic one. Maple tea - The same disclaimer applies. I myself is a tea drinker and I never fell in love with coffee. Not at all. Last time I tried a flat white from Costa, I got on my nerves and I palpitated. End of story. Anyways, as long as there are flavors to try, I am always in for a sip. Those three tea bags were maple flavored teas. 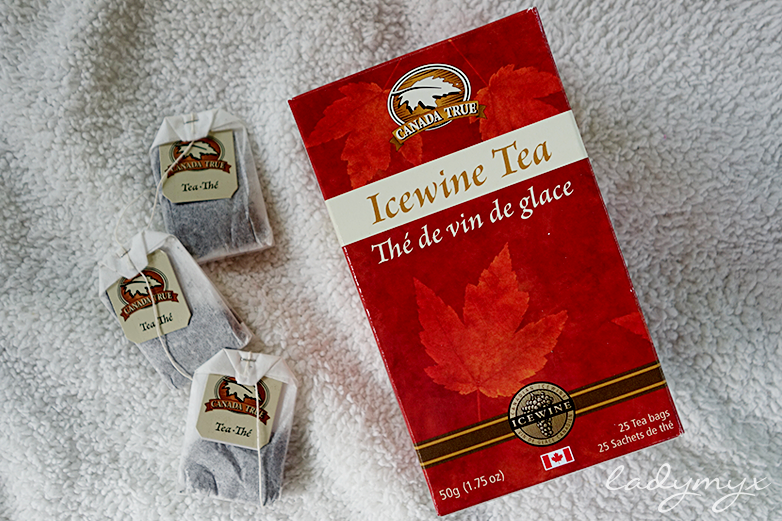 It's just, the box indicates Icewine Tea (another popular tea flavor in Canada) which is a black tea. Maple tea and Icewine tea were both fragrant, very maple-ly, and wine-y. I am so happy GJ brought me these gifts! One of my favorites from this stash. 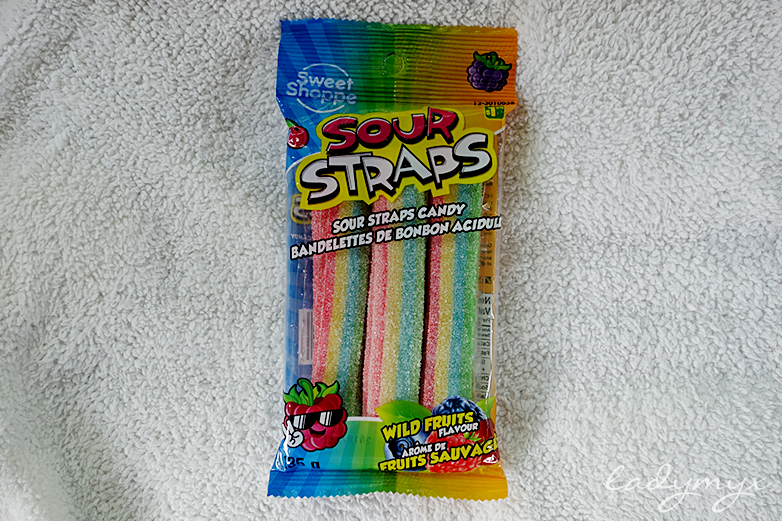 Sour Straps - This one is also popular here in the Philippines, though in a different brand. We even have sour tapes that are so sour, you can't even open your eyes once you put them in your mouth. 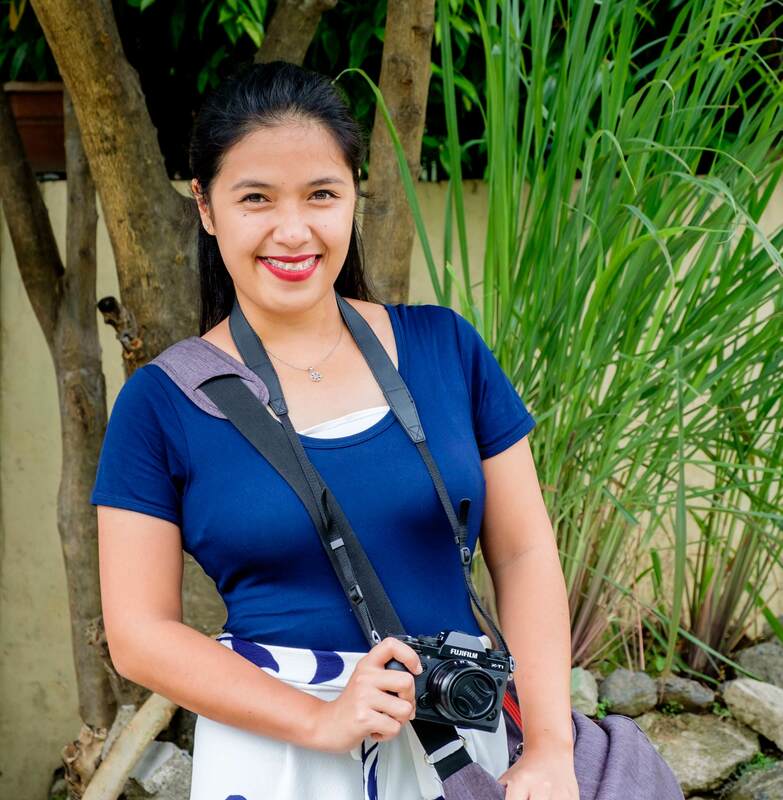 These rainbow-colored straps are nothing compared to what we have. At least, we've got to try them. 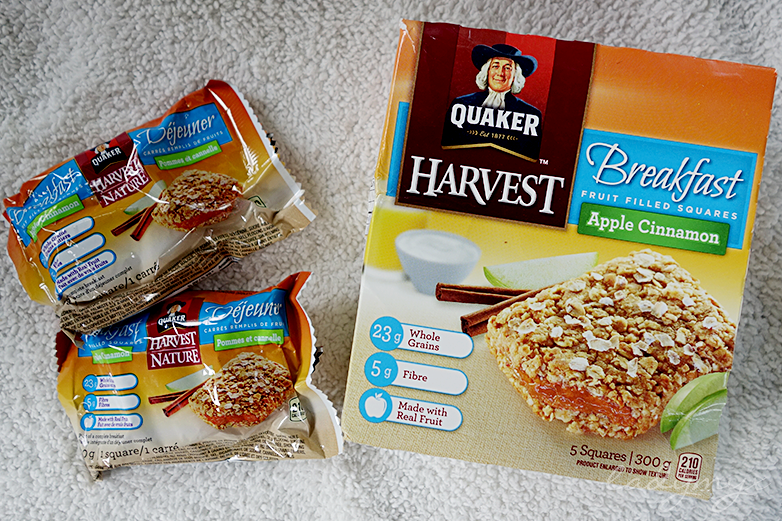 GJ also added some US treats such as Pop Tart and Quaker Breakfast square. He knows that I super love apple cinnamon and I sometimes crave for it once in a while. 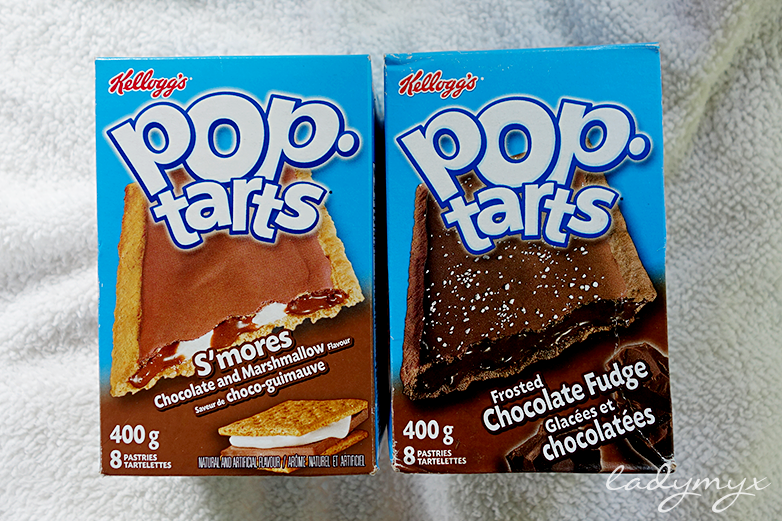 And even Pop-tart is available here in the Philippines (we buy from SNR, a membership shipping center) but in very limited flavors of strawberry, chocolate, and others, he was able to take two different flavors with him. Through this post, I also want to express my appreciation to my fiance, GJ, for bringing these goodies for me, and my family, and friends as well. This post will not be possible without GJ's generousity. So that's it guys. If it happened that someone from your friends or family will go to Canada for a visit, don't forget to ask them some treats I've mentioned above. 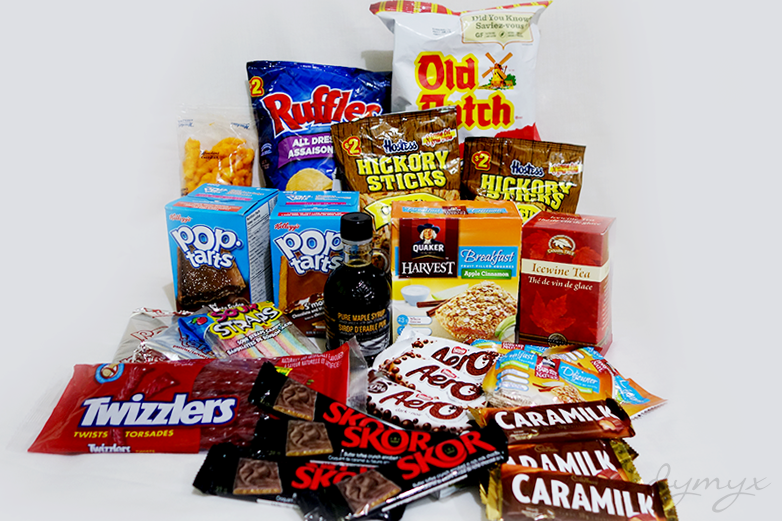 You may also search for others, there are still a wide array of snacks on the internet that are available there alone. Hey There. I found your blog using This is a very well written article. I’ll be sure to bookmark it and come back to read more of your useful info. Thanks for the post. I’ll definitely return.